A hospital in Springfield, Missouri, saw nine instances of identity theft over the past twelve months and states this number is rising. The problem of identity theft is horrific enough; but, when individuals begin to use your identification for health reasons, it could damage your credit and your physical safety. Once your blood type, allergy records and even gender has changed on your records, it is difficult to fix that damage. What can you do to protect yourself against this growing problem? 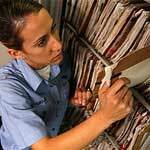 Request recent copies of your health records: Thieves usually use stolen health insurance information to receive hospital treatment, to obtain prescription drugs and to get discounted doctor visits. These treatments can remain on records for years without discovery. If possible, get a hard copy of your medical records as soon as possible, even if you need to pay a fee. If your records ever are altered, you have a way to prove how they looked originally. Notices you receive from providers and plans must include information about how you can obtain copies of your medical records. Obtain a Medical Information Bureau report: The Medical Information Bureau compiles information from several hundred health insurance companies to provide a free annual report to consumers in the U.S. People who have applied for disability, life or health insurance in the last seven years can order a copy of their Medical Information Bureau report by calling 1-866-692-6901. Review the report for mistakes or unusual entries – they may indicate healthcare identity fraud. If anything seems awry in the healthcare records, immediately contact the appropriate insurance company. Obtain your EOB: You can obtain an Explanation of Benefits (EOB) whenever a claim for your health care benefits is filed. You can request a listing of benefits paid in your name by health insureres that may have made payments on your behalf. Checking the EOB is important, as medical insurance theives might use information to file phony insurance claims to get payouts from insurance companies. Make a close reading of that EOB: EOB records are notoriously difficult to understand. If there are incorrect entries on your EOB, such as dates listed that you did not receive treatment, contact the insurer or the provider involved. Do not assume that all is okay just because your balance is zero. Most providers will include a toll-free number on the EOB to call for questions or potentially fraudulent claims information. 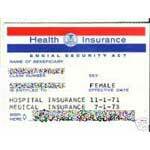 Protect your medical information: One way to protect your records is to make sure your insurance ID is different from your social security number. When you sign a waiver for the release of your medical records, limit the amount of information that can be released. Do not share your information and do not carry insurance cards in your wallet or purse unless you have an actual appointment. Treat your insurance card like your social security card — with care. 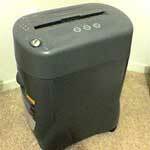 Shred unwanted documents and treat your medical records as you would your credit cards. Become aware of fraudulent situations: While organized crime might be behind some fraud rings, hospital personnel also could be involved. Learn about certain scams such as double billing, phantom treatments, bogus insurers and rolling labs, or mobile diagnostic labs give needless or fake tests or physical exams to consumers, then bill health insurers for expensive procedures. Call your insurance company immediately if you suspect you are a victim of health insurance fraud. Contact your State Fraud Bureau. 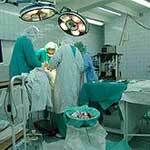 File a complaint with your State Medical Board. Learn more about Medicare fraud and what you can do to stop it. Learn how to report Medicare fraud. Stop Medicare Fraud: This site is provided by the U.S. Department of Health & Human Services and the U.S. Department of Justice. How to Spot a Personal Injury Mill: Don’t become a victim of a personal injury mill. Learn about this problem and how to identify it. Home Broadband: High speed, but high risk: Learn how to protect your computer if it is connected to broadband. Coalition Against Insurance Fraud: This Web site teaches consumers how to identify various crimes and how to avoid becoming a victim. National Insurance Crime Bureau: The NICB partners with insurers and law enforcement agencies to facilitate the identification, detection and prosecution of insurance criminals. National Health Care Anti-Fraud Association: The National Health Care Anti-Fraud Association is the leading national organization focused exclusively on the fight against health care fraud. World Privacy Forum: This site has published suggestions for health care providers on the red flag rules issued by the Federal Trade Commission (FTC), the federal bank regulatory agencies, and the National Credit Union Administration (NCUA). Under the Red Flags Rules, financial institutions and creditors must develop a written program that identifies and detects the relevant warning signs — or “red flags” — of identity theft. This entry was posted in Lifestyle and tagged Explanation of Benefits, health insurance fraud, health records, HIPAA, identity theft, Medicare Fraud. Bookmark the permalink.